The department is young and has its scope and objectives as a future oriented approach, where the overall aim is to describe the environmental, cultural and societal possibilities and limitations for our common future in a local, national and global perspective.The need for increased knowledge and understanding within the area of environmental care and cultural conservation will be increasingly obvious, resulting in demands for an increased number of professional environmentalists and conservators as well as a better awareness and understanding of environmental and cultural issues among the public. From October 2010 till 31 December 2011, Dr. Jan af Geijerstam was a guest researcher within University of Gothenburg’s interdisciplinary Heritage Studies – area of Strength initiative (Styrkeområde Kulturarv), in which the Dept. of Conservation plays an important role. The Heritage Studies initiative was launched in May 2010. Besides Jan af Geijerstam is chairman of the Swedish Society for Industrial Heritage. Jan has previously been employed at the Division of History of Science and Technology at the Royal Institute of Technology (KTH) in Stockholm, where he defended his doctoral dissertation thesis entitled ”Landscapes of Technology Transfer. Swedish Ironmakers in India 1860–1864” in 2004. More information on his research at KTH. During the past few years, Dr. af Geijerstam has been involved in an initiative to develop a collaboration project between Swedish and Indian artists and proponents of saving industrial heritage environments in mid-Sweden (Ådalen) and in Bhopal, India. They support NGO’s and activists in Bhopal that demand from UNESCO that the Union Carbide factory in Bhopal should be declared a heritage memorial building. This is a very sensitive issue that touches upon the whole question of sustainable and environmental friendly agriculture in India vs. chemical dependent agriculture that Union Carbide/Dow Chemicals represent. The ”Bhopal 2011 Requiem & Revitalization International Students’ Workshop and Symposium” was held on spot in Bhopal, Madhya Pradesh, India, on 23 January – 4 February 2011. It was being hosted by the School of Planning & Architecture in New Delhi, the modern Asian Architecture Network (mAAN), India, and India section of The International Committee for Conservation of Industrial Heritage (TICCIH). The University of Gothenburg is also a partner through its Heritage Studies – area of Strength initiative. The workshop and symposium aimed to explore the possible transformation of the former Union Carbide factory site in Bhopal into a place of remembrance and a resource for empowering the local community. More information about the symposium. As a preparation for the Bhopal symposium, the Heritage Studies initiative in Gothenburg organised a lunch to lunch workshop on 18–19 November 2010. The workshop was entitled ‘Multiple roles of heritage – pasts, conflicts, present time. The case of the Union Carbide former plant in Bhopal, India: “Requiem & Revitalization”’. It aimed at discussing conflicting and difficult heritage, industrial heritage and industrialization, global and local consequences, and possible means, models and pathways for improvement of heritage practices. The invited speakers incuded Moulshri Joshi (photo), Partner & Principal Architect, SpaceMatters, New Delhi and Assistant Professor at the School of Planning and Architecture in New Delhi; Amritha Ballal, partner and principal architect SpaceMatters, New Delhi (and also a Master’s student at the Norwegian University of Science and Technology (NTNU) in Trondheim); and Suditya Sinha, partner and principal architect SpaceMatters, New Delhi. More information about the lunch to lunch workshop. Finally, the Bhopal case was also presented at the 2010 autumn meeting of the Swedish National Heritage Board, that took place in Stockholm on 16–17 November 2010. The Swedish National Heritage Board (Riksantikvarieämbetet) decided to have ”The town” (Staden) as theme for the meeting, and to focus on heritage and sustainable development. The two-day seminar was organised in collaboration with Boverket, Formas and Arkitekturmuseet. Ms. Moulshri Joshi was supposed to speak on ”(Unwanted) Industrial Heritage as a base for Community Empowerment – Bhopal and Union Carbide”. Venue: Factory Nacka Strand, Stockholm. More information. 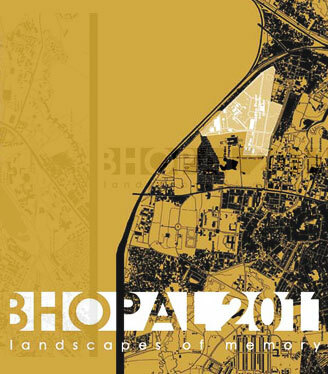 The multidisciplinary event has now been documented and published as a book, entitled ”Bhopal 2011. Landscapes of Memory”, edited by Amritha Ballal, and Jan af Geijerstam. 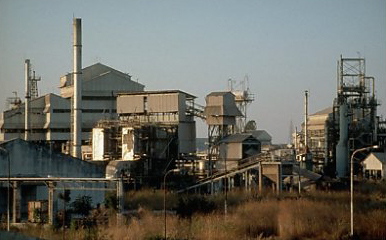 The documentation has been conceptualized as an action-research initiative – an academic exercise involving students, researchers and institutions from Bhopal and across the world, with a public interface which sought to increase awareness on the ongoing socio-cultural and environmental challenges facing the Union Carbide site. The event uniquely provided an open, neutral platform for local citizens, visitors, survivors, activists, government officials, students and academicians to engage with the conflicted, real-time issues facing the site. In doing so, it drew attention to the possibilities and challenges of inclusive processes for the remediation of the site and the protection of its cultural heritage. Landscapes of Memory addresses issues of inclusive heritage, participatory urban development, cultural rights and memory that underpin the narrative of the Bhopal gas tragedy, which are shared by many other sites and communities across the world. and its shared legacy in our collective consciousness. More information about the book, published by SpaceMatters in India, and the Norwegian University of Science and Technology (NTNU) in Trondheim, with support from the Research Council of Norway, the University of Gothenburg, and modern Asian Architecture Network (mAAN). Dr. Satish Chandra worked at the Dept. of Conservation as a researcher at the department from 2002. However, he retired in 2009 and is now working with his own consultancy firm entited Chandra Byggref AB. Hailing from India, he was working at Chalmers University of Technology between 1985 and 2002. His research areas are lime technology, ancient building materials, durability problems in concrete, and development of new materials, durable in aggressive environments. He is very much engaged in the problem of restoration and conservation of historical monuments in South Asia, worked as an overseas consultant advisor for HARCA, the Historical and Archaeological Research Centre for Avadh (a branch of the Archaeological Survey of India), and in 2003 he published a book on ”History of Architecture and Building Materials” (TBI Books International, New Delhi, India). Chandra planned for an educational project on ”Problems and Possible Solutions in Conservation/Restoration of Cultural Heritage in India and Nepal”, with an ambition to establish links between Sweden, India and Nepal, to help restore historical buildings and monuments, some of them are at the verge of collapse. The intended network will comprise of scientists, material experts and the artisans who have empirical knowledge, which they have earned through trial and error method. During this program, investigation of the status of the buildings and the needs of their restoration will be discussed with the local relevant authorities. The attention will be give focus to the monuments outside the main towns, which have not attracted the attention of the international organizations, like Lucknow in India and Ghale Durbar, Lumbini, Janakpur, and Gorkha in Nepal. His partners in India are based at HARCA in Lucknow (with Roshan Taqui as member-secretary), and in Nepal he made contacts with the Archaeological Survey of Nepal in Kathmandu, and its Director, the joint secretary of Ministry of Tourism Kosh Prasad Acharya. The Association of Critical Heritage Studies is a newly formed international network of scholars and researchers working in the broad and interdisciplinary field of heritage and museum studies. Its primary aim is to promote heritage as an area of critical enquiry. To this end, the Association works to promote dialogue and networking between researchers from different fields and disciplinary backgrounds and between researchers, practitioners and activists. The Association’s web pages are currently hosted by the Australian National University. The Association was officially launched at its Inaugural Conference that was held at the University of Gothenburg 5–8 June 2012. The theme for this initial conference was ”The Re/theorisation of Heritage Studies”. It was hosted by the Heritage Seminar at the University of Gothenburg, and Bosse Lagerqvist at the Dept. of Conservation was the main contact person for the conference. More information.